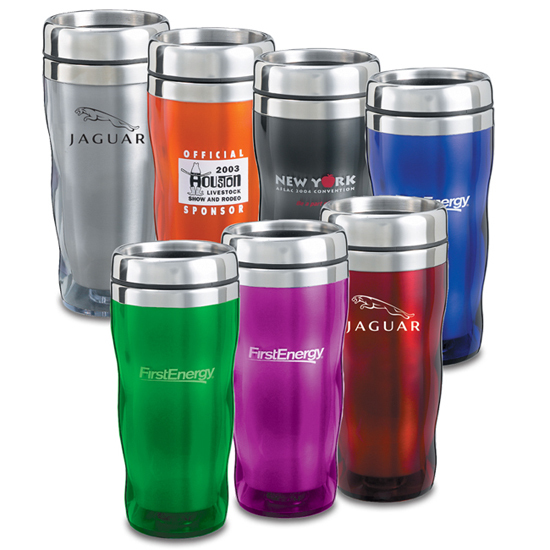 Wave Tumbler A fun way to show your logo.16 oz translucent acrylic shell with insulated stainless steel liner. The new spill resistant elegant â€œS" shape lid allows for simple open closing action. It fits all standard car cup holders.